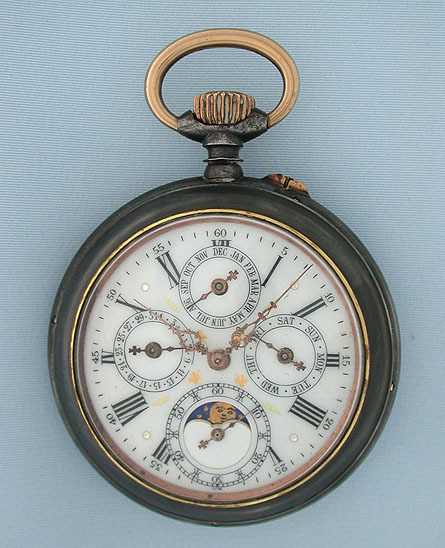 Swiss gunmetal triple calendar moonphase antique pocket watch circa 1900. Fancy white enamel dial with gold and silver decorations, subsidiary dials for day, date and month with running seconds and aperture for moon phases. 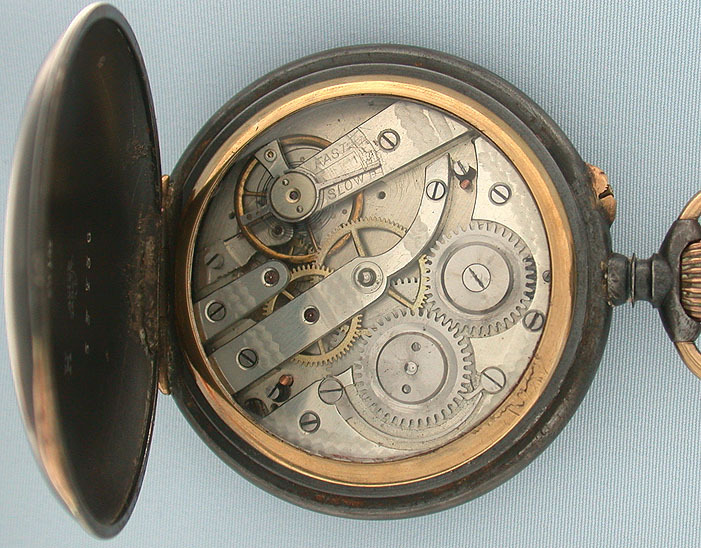 Gunmetal case with gilt trim. Nickel 10 jewel cylinder movement under glazed dust cover. Very attractive example.